Here at Summit Renovations we consistently get asked the age old question, “Should I move into a nicer place or renovate my current home?” While we ultimately can’t make that decision for you, we can help. We’ve assembled a few important questions to ask yourself to act a guide for deciding whether to renovate your Denver home or whether to move. To Renovate or Not to Renovate! Can you buy another house for less than the cost of a renovation? This question definitely needs to be assessed on a case-by-case basis. A few things to consider are the realtors’ fees and hassle of selling paired with any tax liabilities that may occur with the sale. It can also depend on what neighborhood you live in, the size of your home, and the structural state of the existing home. Generally, the devil you know, is better than the devil you don’t. So if your home is in good structural condition and meets the size requirements for your family, renovating your home can be a more affordable option. If you plan to stay in your current home for at least five more years, renovating makes a lot of financial sense. With a home renovation you can stay in the neighborhood you like and get the house you’ve always wanted. That’s a win/win! Would I see value from a renovation? Yes! Not only would you have a nicer home to enjoy now but renovations add value to your home when you decide to sell. Kitchen renovations and bathroom renovations generally add the most value to your home. Home additions will also add significant value to a home. For example, depending on the layout of your home and the building code in your neighborhood, we could add an addition that turns your three bedroom two bath into a four bedroom three bath! Now that’s an upgrade! Can your home structurally support a renovation? This is impossible to answer in a blog post but is very important. Older Denver homes, such as Bungalows and Tudors, may have structural concerns regarding certain types of renovations. We strongly suggest having us come out and take a look at your home. Once we are looking at the home in question, our general contractors will be able to give you a better idea of whether your home renovation is economically feasible. Hopefully this post gave you some valuable insight. 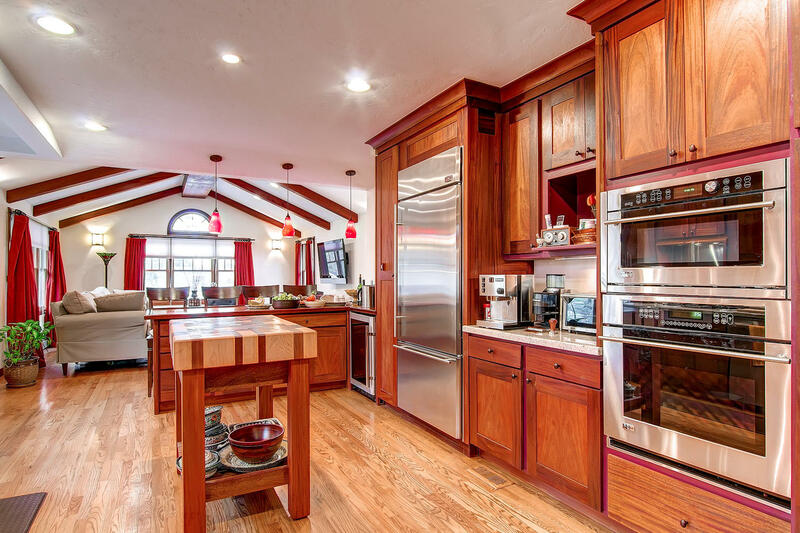 We would love to discuss selling or renovating your Denver home in person. Our experienced General Contractors are here to help you make the best decision for your situation and guide you through the process. We can lay out the pros and cons as well as give you a Ballpark estimate.